CERTIFIED PRE-OWNED!! PREMIUM 1 PACKAGE!! APPEARANCE PACKAGE!! 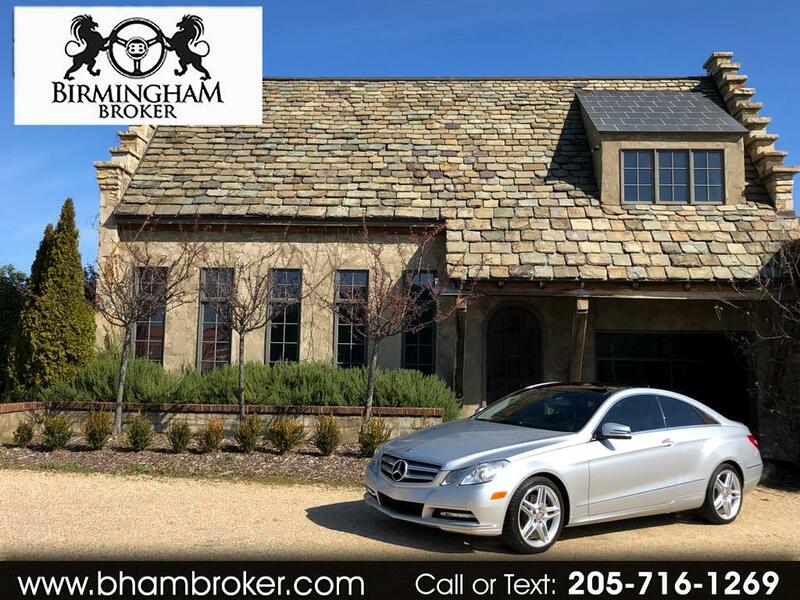 MERCEDES BENZ CERTIFIED PRE-OWNED E350 COUPE. ALL MAINTENANCE UP-TO-DATE AND COMPLETED AT THE DEALERSHIP. IRIDIUM SILVER EXTERIOR WITH BLACK LEATHER INTERIOR. OPTIONAL EQUIPMENT INCLUDE: PREMIUM 1 PACKAGE WITH COMMAND SYSTEM, NAVIGATION, HARMON/KARDON SURROUND SOUND SYSTEM, MEDIA INTERFACE, POWER REAR WINDOW SHADE/LEATHER STEERING WHEL AND WOOD/LEATHER SHIFT KNOB; APPEARANCE PACKAGE WITH 18" AMG SPORT WHEELS, SPORT PEDALS & MULTI-CONTOUR FRONT SEATS; LANE TRACKING PACKAGE WITH BLIND SPOT ASSIST & LANE KEEPING ASSIST; SPECIAL ORDER PAINT COLOR; REAR SPOILER; GLASS ROOF. EXCELLENT CONDITION INSIDE & OUT! !